When I tell people I’m completing a thesis in American history, they usually expect it to be about colonial Georgia, reconstruction, or the Civil Rights Movement; something that’s been generally accepted as part of our history. So they are usually surprised when I tell them I am writing about a public housing redevelopment that occurred less than twenty years ago. Moreover, when I am talking to mostly anyone who has lived in Atlanta, they are at least vaguely aware of my topic; the redevelopment of the East Lake neighborhood. Working through the telling of such a well-known story that exists in the immediate past has taught me much about history writing. One of the challenges has been to find the signal in the noise, as so many people remember living through East Lake’s redevelopment. Everywhere from Facebook posts to casual conversations has the potential to uncover a new detail about East Lake’s story, and on multiple occasions I’ve found myself lost in the noise of all of these potential sources. It’s been important to always have my end goal in mind, and work to ensure that I am hearing and writing about the important voices in my story. To this end, the Fox Center has been extremely helpful. 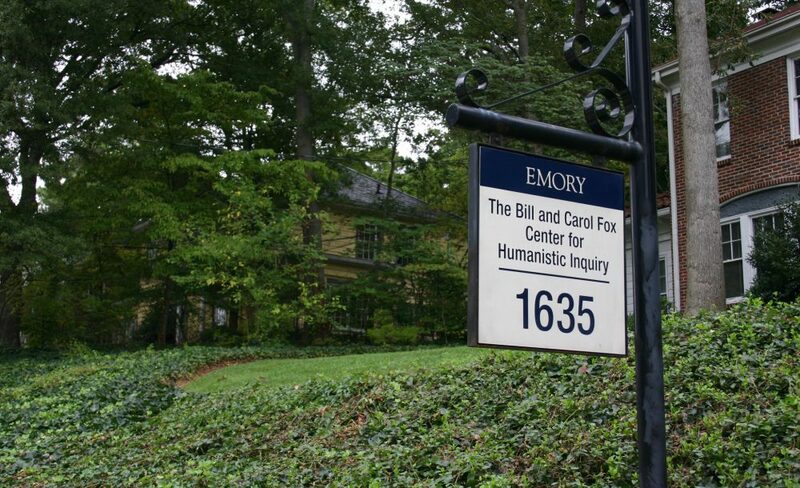 The staff of the Center worked through their connections through Emory and the rest of Atlanta to make certain that I have access to the sources that have helped legitimize my work. It has also been important to remain objective throughout the telling of my story. It is easy, especially when doing oral history, to be affected by the experiences and emotions of my sources. East Lake’s story is still relevant to many of the sources I interviewed, and it has been challenging at times to understand their experiences through a historical lens, and place them within ideologies and frameworks of the time period. I have found that the most helpful method of remaining unbiased has been to share the story with those around me. For this, the Fox Center has been a haven. I am almost constantly able to share what I am working on, potentially to the nuisance of those around me, and work through the story with them. The Fox Center has not only provided me resources to support my work, but has created a space where I can share my work with others, which has helped me develop a thesis I am proud of and has taught me much that I will take with me in my future academic pursuits. Writing can be a lonely process, no matter if one approaches it from the academic side or the creative side. When I first started researching back in the spring of 2014, no one knew that I was planning to write a novel, much less that I would turn it into my senior honors thesis. Growing up, creative writing had always been something I had to squeeze in during my “free time,” between math homework, piano lessons, student clubs, and interpersonal relationships. Sitting in class, ideas for novels or lines of poetry that wandered into my mind were considered distractions; I wrote for myself and kept my writing hidden. But everywhere I looked, art was being created not in solitude but in communities: the Beats, the Romantics, and–my personal favorite–the Bloomsbury Group all kindled their creativity through dialogue, rooted in a sort of intellectual common ground. Thus, one could imagine how pleasantly surprised I was when I came to the Fox Center. Being a part of an active learning community has given me, first and foremost, the private affirmation that what I’m doing is real and not just a self-indulgent hobby. The center has given me space dedicated to working in an environment where I can put my work first. Being here has opened me up to the idea of sharing my work and using it as a springboard for conversation; the knowledge one collects from these kinds of interactions has enriched and enlarged my project. Most importantly, however, the Fox Center has positioned me in a community in which everyone has a unique set of skills to share. Since I’ve been here, my entire conception of art has gained an interdisciplinary dimension: instead of just looking at texts primarily for their aesthetic or emotive value, I now apply an equal amount of criticism from the historical, political, and ontological perspectives. In this way, the Fox Center has also taught me that research does not only affect the small niche community to which it pertains; rather, every piece of scholarship has an enormous range of influence on all disciplines. Lately I’ve been thinking about how art and academics intersect and how people with these pursuits can be encouraged simply through association. Psychology posits that we remember facts (for instance, that the earth is round) and not the experience of learning these facts (who taught me, initially, that the earth is round? ), but I tend to disagree: I don’t think our knowledge is stored as one long syllogism. Rather, it is like an interactive map, where every fact can be associated with a person who shared that fact with us. With this in mind, as I move forward in my academic and creative pursuits, I plan to take what I have learned from the Fox Center and either seek out or create similar communities at other institutions.